Actress/executive producer Oprah Winfrey attends the Tribeca Tune In: "Greenleaf" Screening at John Zuccotti Theater at BMCC Tribeca Performing Arts Center on April 20, 2016 in New York City. 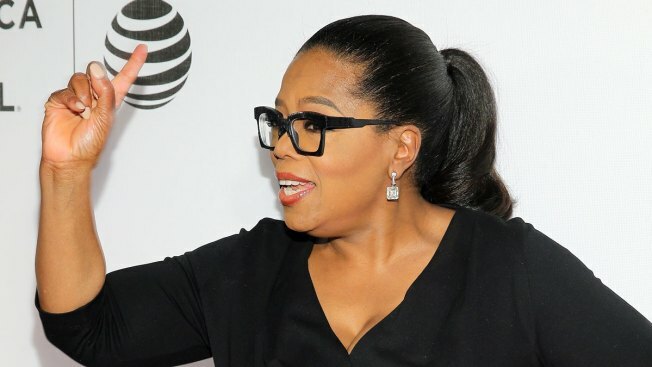 During a call for Weight Watchers members Wednesday, Winfrey talked about her diet. But during a call for Weight Watchers members Wednesday, Winfrey said the temptation to stray from the plan has lessened over time. During a recent dinner in Atlanta, for example, her friends order fried catfish, fried chicken and macaroni and cheese. "But I just had a little bite!" she recalled. "It was a decision that I was going to not use this food as a way to reward myself." Winfrey, who's lost upwards of 26 lbs. since becoming a Weight Watchers spokesperson last summer, does allow for a few indulgences. "About 4 o'clock I always feel like I want something to crunch. I really like salty and savory things, and so for me it's a Snyder's pretzel--that hard crunchy pretzel. It's 3 points, but oh my gosh!" she exclaimed. "I take my time with it. I love it." Seth Rogen and Jimmy Fallon perform stand-up jokes that were written by elementary school kids for "The Tonight Show."